Here’s an easy recipe for you. No baking required. Blitz all the ingredients, except the coconut, sugar sprinkles or pearl sugar, in a food processor, or mix by hand (but allow the butter to soften before doing so). Put the mixture in the fridge to firm up a bit before using or it can be a bit too sticky. Add more oats if you feel the mixture is too soft. Roll into 2.5cm diameter balls, then roll each ball in either desiccated coconut, sugar sprinkles or pearl sugar. Firm up in the fridge before eating — they will keep for up to a week in the fridge. 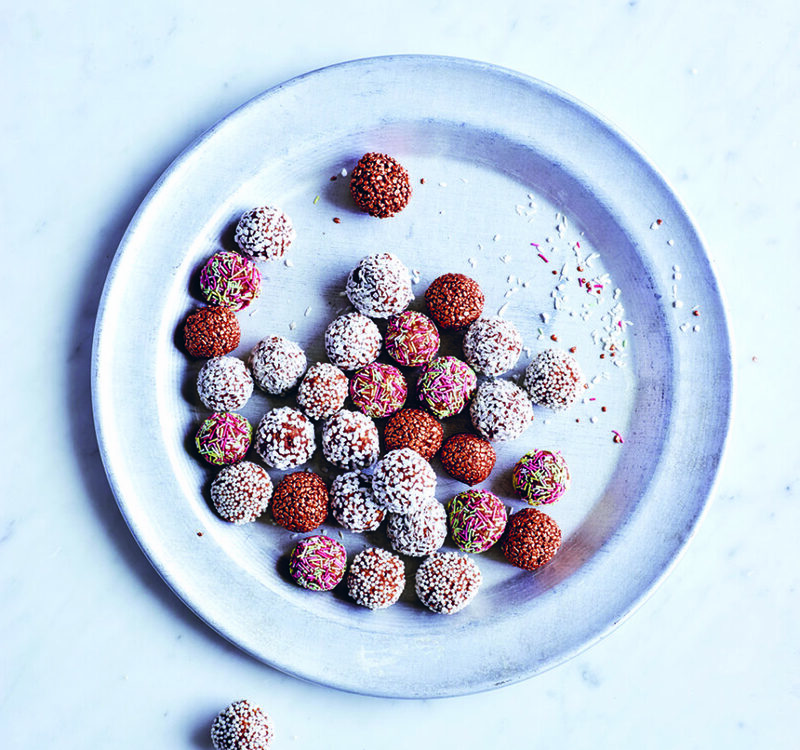 Recipes taken from The Scandi Kitchen by Bronte Aurell (Ryland Peters & Small, £16.99). Photo by Pete Cassidy.